Dirt Connections’ team of experienced contractors is dedicated to ensuring your project is successful and completed in a timely and professional manner. We have years of experience providing a variety of quality services to facility and property owners in the DC Metro area and a stellar record of open communication with our clients. When considering a contractor for your next facility addition, renovation, remodel, or repair, look no further than Dirt Connections for reliable service and quality you can count on. 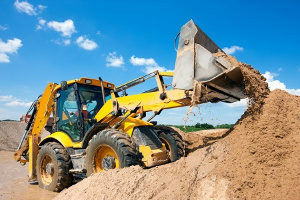 Dirt Connections prides itself on offering a wide variety of services to tackle any project with care. We employ a diverse team of specialists with the tools and know-how to get your job done on a timeline and at a price you can agree on. From preparing a lot for a new structure, to restoring the foundation of a centuries old one, Dirt Connections’ team of contractors has the capability and experience to do it all. Here at Dirt Connections, we make every effort to keep our costs competitive and our project timelines as short as possible, without sacrificing quality our your ability to do business. Our company structure allows us to work quickly, with only the personnel on site that are essential to completing your project up to your highest standards. You’ve probably heard stories of construction sites with 10 guys standing around while only one actually works. With Dirt Connections that’s never the case. We offer a free, no obligation, estimate on a variety of services for commercial property owners. Our team of experts is standing by seven days a week, and could be at your project’s site today to diagnose a repair, or estimate a renovation, addition, or remodel project. The services we offer include, but are not limited to the following. Dirt Connections has years of experience offering high quality workmanship on a wide variety of commercial construction projects in Northern Virginia. Our diverse team of qualified professionals allows us to tackle any project you deem as the next step for your business or commercial property. 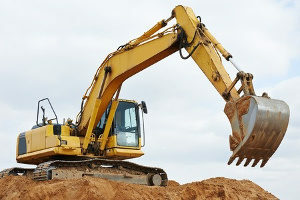 No matter how big or how small, Dirt Connections has the tools and the experts to get your project done, so you can get back to business. Don’t let your business’ facility fall behind the competition. Don’t let issues needing repair in your facility worsen. Contact us today to schedule your free estimate!